Botwood is one step closer to an economic boost the mayor hopes could bring the region financial stability for decades to come. Botwood is one step closer to an economic boost that the mayor hopes could bring financial stability to the central Newfoundland town and neighbouring communities for decades to come. The Newfoundland and Labrador government has signed an agreement in principle with NewGreen Technologies for a proposed $185-million biofuel plant to be built in Botwood. "It's hard to put into words," Botwood Mayor Scott Sceviour told CBC News on Friday. "I think most importantly it's going to be a huge benefit to the Exploits Valley and the central region, and of course the province as a whole." The agreement "focuses on the development of a comprehensive business plan from Newgreen Technology Inc. and potential fibre arrangements to be provided by the Government to support the project," according to a statement from the Department of Fisheries, Forestry and Agrifoods. The plant could mean between 400 to 600 jobs to the region during construction, and 150 full-time jobs during production. Sceviour says the province has been able to allocate the wood needed for the biofuel plant to operate. It's now up to NewGreen Technologies Inc. to provide a business plan and to secure funding. He expects big changes if the project goes ahead. "We're not going to be that quiet little, quaint town anymore," said Sceviour. "We're going to be more vibrant. You're going to see some major changes, some major construction and of course some commercial activity within the town — which is positive, and that's the way we got to look at it." The company is expected to hold public information sessions in Botwood next month. Sceviour said this project gives him "goosebumps" thinking about what it could mean for the future of the region, although he said he knows the town has to be cautious in negotiations. The last glimpse of vibrance on the Botwood waterfront faded out when Abitibi ditched operations in 2009. The small port town used to see ships from all over the world line up to receive paper from the Abitibi mill in Grand Falls-Windsor. Sceviour said while there are similarities to Abitibi's procedures, the proposed plant brings different challenges — including negotiations for land and buildings, and re-routing roads to accommodate construction. 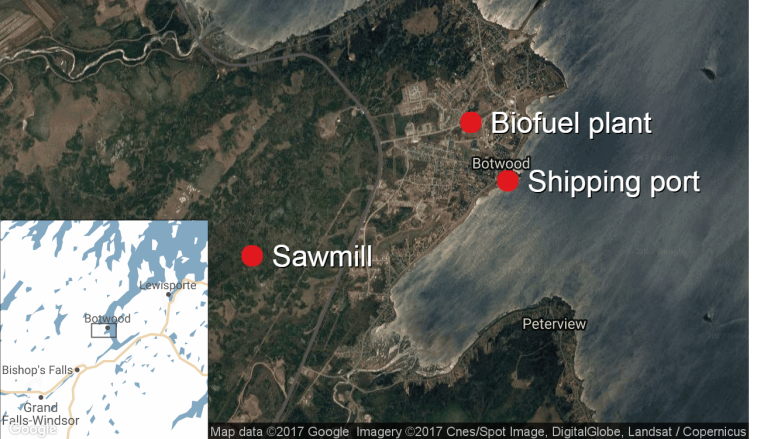 The project would include a sawmill producing floor boards, a biofuel plant that creates clean diesel from the sawmill's waste and improvements to the shipping port in town. "With prosperity also comes some challenges as well," said Sceviour. 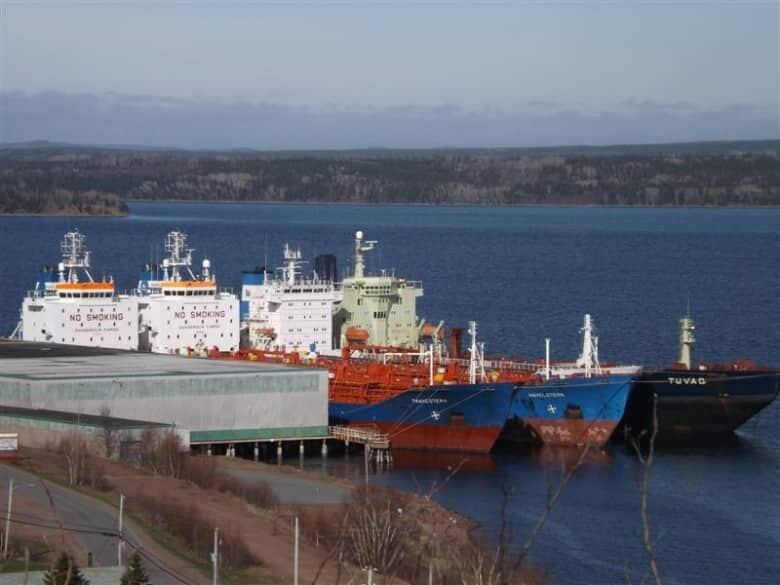 After failing to strike a deal with Rentech in 2014, Botwood may be on the verge of striking a new deal to bring life back to the town's waterfront. "This is a very huge project. I don't know if people really understand the enormous effect that this will have on our community and of course the region as a whole." The further into the process they get, the more excitement builds as plans become more real. "I talked to several councillors after [meetings] and they couldn't sleep because it's just a little bit overwhelming for us at this point in time."